Follow this guide to learn how to get all endings in Doki Doki Literature Club. If you made it through your first playthrough of Doki Doki Literature Club, you may be relieved to find out that the game has multiple endings for players to discover. This guide will explain how to get the best ending in Doki Doki Literature Club, which is sometimes called the “fulfilling” ending in DDLC. Players must complete the game at least once in order to get the best/fulfilling endings in Doki Doki Literature Club, so be sure to finish the game first before continuing with this guide, as there are huge story spoilers ahead. Before you can get the fulfilling ending in Doki Doki Literature club, you must first have a clean, non-broken save file. This may sound scary if you haven’t played through the game already, but trust us, it’s all part of the DDLC experience. If you have played through DDLC at least once, there’s a good chance you ended up with the Monika ending. This ending is sometimes called the “bad” ending or the “Just Monika” ending, as she is the only one left at the end of the game. This is the most common ending for most players on their first playthrough of DDLC. If you have not played the game at all yet, then you can skip this section and continue on below to get the best ending in Doki Doki Literature Club. After earning the Just Monika ending, your game will be ostensibly broken. 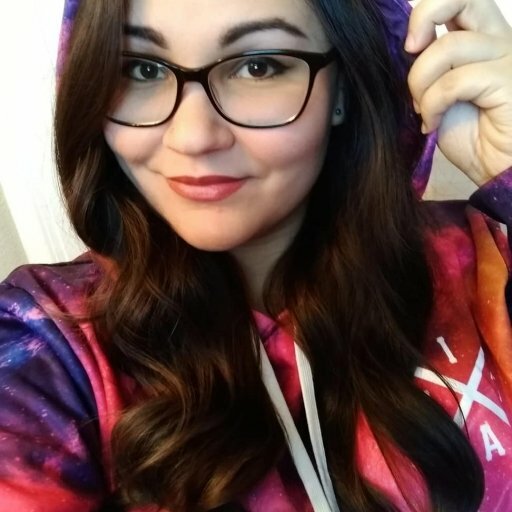 You will need to fix your broken game files in order to access the menu and start another play through. Access the Doki Doki Literature Club game folder on your PC. Open the “game” folder and locate the “firstrun” file. Restart Doki Doki Literature Club and start a new game. After deleting your “firstrun” file, you should now be able to start a new, fresh playthrough and earn the best ending in Doki Doki Literature Club. To get the best ending in Doki Doki Literature Club, you must unlock all the cutscenes for each character in the game before the end of Act 1. To save time, you should enter the game settings and opt to skip all unseen dialogue. If you played a blind playthrough and followed the steps above, the game will think you are playing for the first time and will show you dialogue you’ve already seen. Now, your goal from here is to try to earn every character’s cutscenes before the end of Act 1. You’ll essentially be doing three separate playthroughs of the game, then exiting before reaching the end in certain circumstances. Unlocking each girl’s cutscenes involves similar steps each time: appeal to a girl, write her poetry that she likes, and confess your love for her. You will then need to quit the game and start over before witnessing any deaths (for the most part). Each girl reacts a bit differently of course, so you’ll have to make some adjustments depending on the girl you are wooing. Start a new game and appeal to Sayori. Use solemn or bittersweet words when writing poetry for Sayori to unlock two special cutscenes. Confess your love for Sayori at the end to get her third cutscene. 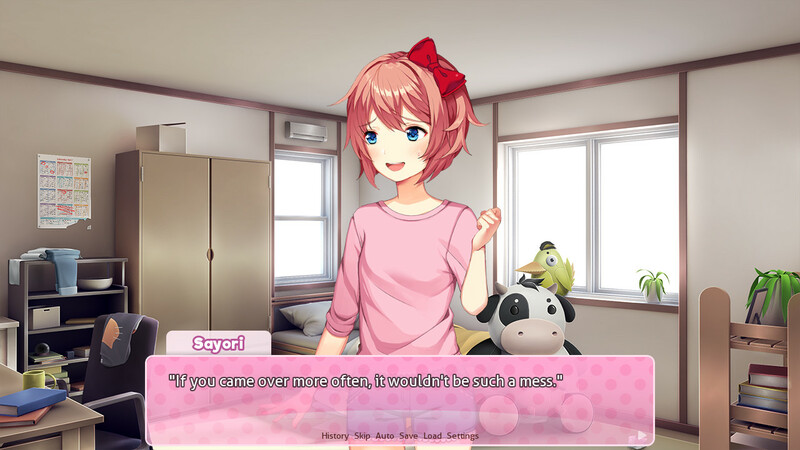 Don’t worry about who you selected to help prepare for the festival in this playthrough, as Sayori will come to you regardless. However, make sure to exit to the main menu before witnessing Sayori’s death in this and the following playthrough, or else you won’t be able to get the best ending in DDLC. Start a new game (prior to Sayori’s death) and appeal to Natsuki this time. 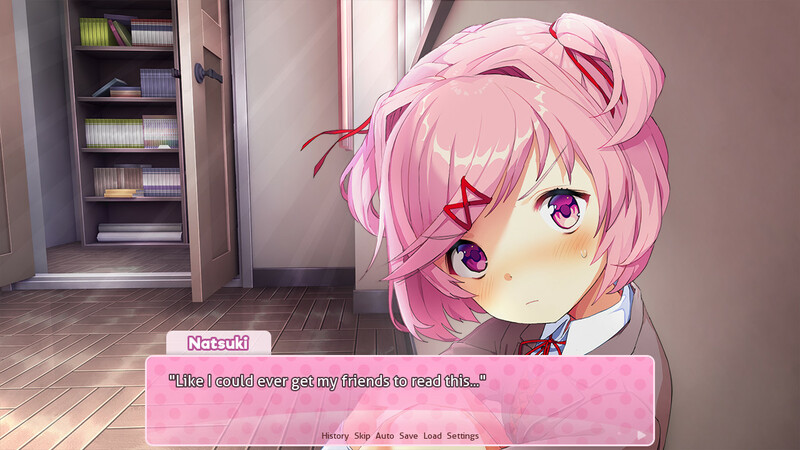 Use cute or fluffy words when writing poetry for Natsuki to unlock two special cutscenes. Select Natsuki to help with festival preparation at the end to get her third cutscene. When Sayori arrives, make sure to exit to the main menu before witnessing her death. Again, when you reach the point where you are supposed to check on Sayori, make sure to quit the game here and begin the next playthrough. If you check on her to find her dead, this will ruin your chances of earning the best ending in Doki Doki Literature Club. The choices she presents you with do not matter here. Start a new game (prior to Sayori’s death) and appeal to Yuri this time. 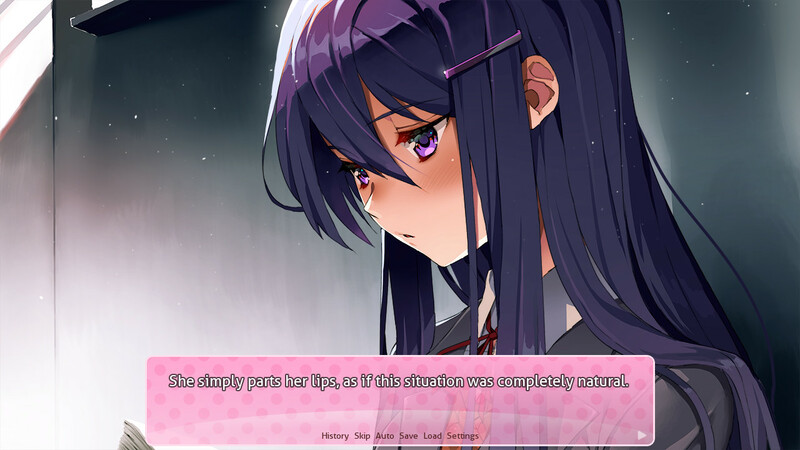 Use words that appeal to Yuri when writing her poetry to unlock two special cutscenes. Select Yuri to help with festival preparation at the end to get her third cutscene. Don’t exit to the main menu to start a new game. This time, you must witness Sayori’s death. Now it’s time to prepare for the game’s unsettling ending. Once you unlock Yuri’s cutscenes and witness Sayori’s death, the game will glitch and Sayori will be gone from the game. Continue playing the game rather than restarting. 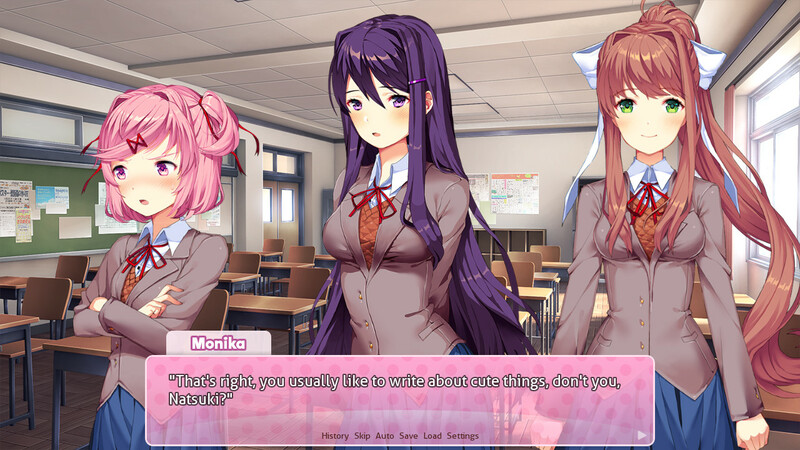 Things get a bit hectic, as the girls go crazy and Monika comes to delete the remaining characters. The game will play out as it usually does with the Monika ending, only this time you’ve collected all nine of the girls’ cutscenes (three scenes each for Sayori, Natsuki, and Yuri). Don’t delete Monika when prompted. 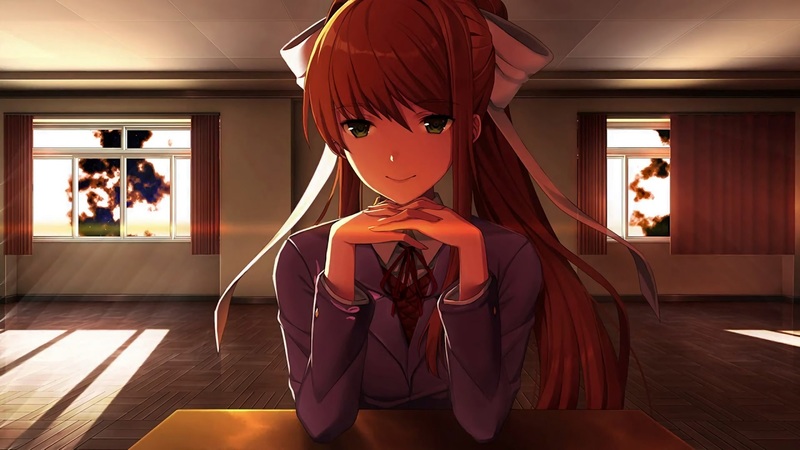 Instead, play through the game with Monika in the void, write her a poem, and continue with her dialogue until she sits and stares at you. Then, open up the game’s installation files. There should only be Monika’s folder within the character files, as she “removed” the others. The only thing you have to do now to achieve the good ending in DDLC is delete the ‘monika.chr’ file. When you return to the game, a glitched version of Monika will remain, with some dialogue. You'll eventually be sent back to the main menu, where Monika should now be missing. Start another game, and continue through the dialogue and cutscene with Sayori. The game will begin to glitch, and you will get a special message from the developer at the end after the credits. Congrats, you've just earned the best ending in Doki Doki LIterature Club! There you have it. By following these steps, you will have unlocked the best/fulfilling ending in Doki Doki Literature Club. The game will be beyond broken from here, so you will have to either delete the ‘firstrun’ file as we mentioned above or reinstall the game to do another playthrough.